Age: 48. Born: 6 April 6, 1967 in Saclepea, Nimba County. Football background: Says he played at amateur local level but there is no record of significant involvement in the game before becoming the president of the Liberia Football Association (LFA) in 2010. Non-football background: Obtained a degree in economics from AME Zion University in Monrovia in 2008, aged 41, after already establishing a business portfolio. He owns Liberia’s biggest petroleum import firm, Srimex, which also deals in cement. He owns a media conglomerate that includes TV and radio stations and was an early business supporter of Liberia’s president, Ellen Johnson Sirleaf (Nobel Peace Prize winner in 2011), from her first election in 2006. He later denied any role in an alleged 2013 plot to assassinate President Sirleaf. Bility has held various government-appointed posts, all of which saw him implicated in financial controversies. He’s been chairman, at different times, of the National Port Authority (NPA), the Liberia Water and Sewer Corporations (LWSC) and the Liberia Airport Authority (LAA). Any corruption? Quite a lot alleged. See main profile below. Allies: In the past, Mohamed bin Hammam. Some fellow African FA heads, unnamed but apparently from outside West Africa. Enemies: Lots of other African FA heads; and various business rivals. Latest news: Bility was ruled out of contention for the Presidential race after failing the integrity test. For latest news on all candidates click here for TIMELINE on resources page. Musa Bility, self-made millionaire and family man, is married to Denise and is a father of five. He believes football is a force for good and would like the global game’s income to be distributed more fairly. On the other hand it was alleged he was part of a plot to assassinate Liberia’s Nobel Peace prize-winning president, Ellen Johnson Sirleaf. He denied it. Bility’s CV is what you might call a mixed bag. Sometimes he appears to be economical with the truth. To give a specific example relating to the current FIFA election campaign, he did not make public all the reasons provided to him by FIFA why he failed their integrity check. 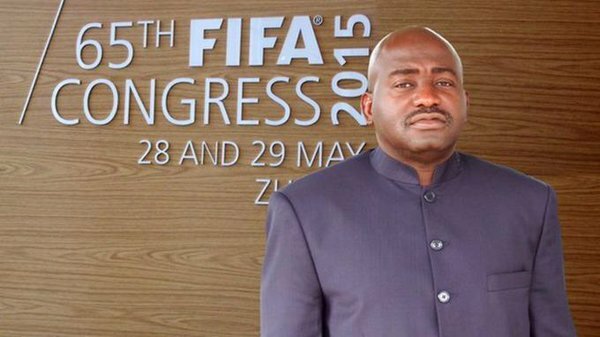 After FIFA’s ad-hoc electoral committee had ruled him out, Bility released a statement saying: ‘I have received communication from Fifa’s Electoral Committee and I have been principally rejected because of my ban by CAF in 2013. [A reference to a ban and $10,000 fine in 2013 over his misuse of documents when fighting CAF rule changes]. In fact, Bility failed the integrity because he has a criminal conviction for tax evasion, has been indicted on multiple counts of other allegedly corrupt behaviour (not all of which came to fruition), and has seen ‘various civil proceedings’ end in default judgments against him. In a letter received by Bility and sent from Domenico Scala, the chairman of FIFA’s Ad-hoc Electoral Committee – and seen by Sportingintelligence – Scala explains that, in effect, Bility’s self-declaration of integrity was flawed. Scala noted that Bility had said he had never been convicted of ‘any intentional indictable offence’. The tax evasion conviction was from 2012, after Bility admitted owing $180,000 in taxes for petroleum import company Srimex. In one sense he was meeting the prosecutor half way; the government alleged Srimex had defrauded the national coffers of $350,000. The state’s evidence was ‘overwhelming’ and Bility was convicted. He is clearly a man with a habit for a business misunderstanding. In 2006, when he was chairman of the National Port Authority, he was sued for unpaid private debts of $600,000, having written a series of bouncing cheques. In 2013, Bility said the LFA’s inability to pay staff wages on time was FIFA’s fault because FIFA had not sent their latest financial assistance payment (FAP) on time. He defended his tenure by saying the staff payroll had risen from $2,200 a month when he took over in 2010 to $15,000 a month by 2013, and that typically by then, staff got paid in advance. Sources at the LFA told local media this was not true. 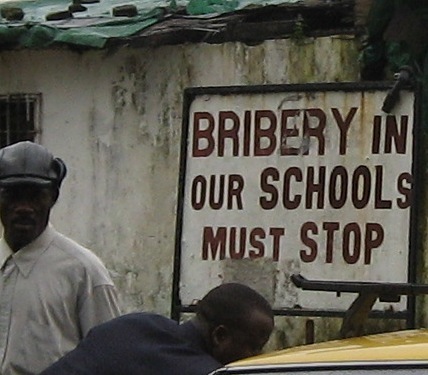 Liberia is, of course, a desperately poor country, torn apart by years of civil war, always under scrutiny from human rights groups, and riven with corruption across all parts of society from top to bottom. Bility has been seen by some supporters as a stabilising figure who helped bring sponsorship deals – albeit limited – to the local league, and who is intent on modernising the game in Liberia, including with a new HQ. Others beg to differ. 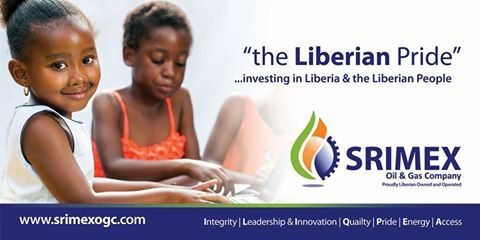 In 2013, a year after his tax conviction, Bility was among a group of people indicted by a special grand jury for conspiring to defraud the Liberia Airport Authority (LAA) of around $1 million. There were four charges: economic sabotage, theft of property, criminal conspiracy and misapplication of entrusted property. It was reported locally that Bility went on the run. He denied that and said his lawyers were working on proving his innocence. Last month (October 2015) the case was struck out on a technicality having failed to reach trial within the appropriate political term limit after indictment. The alleged assassination plot of President Sirleaf got little further than claim and counter-claim. Shortly after the LAA case was struck out, Bility said he was certain his FIFA integrity check would come back ‘clean’ and set out his post-win strategy as FIFA’s next president. ‘I will make sure that countries are treated fairly in providing financial allotment to support football associations throughout the world,’ he said, adding it was unfair for rich countries, like those in the UK, to get the same $250,000 annual allocation of funds as Liberia. That probably did not seem an attractive option to those who have followed his administrative career closely. He was was accused of improper use of $50,000 of a $630,000 FIFA Financial Assistance Program (FAP) grant, meant for developing youth football and the women’s game. He reportedly bought a new car with some of the money. There is no record of any formal charge by the LFA, where he has been president for five years, elected in 2010 and re-elected for four more years in 2014. The subject of bribes resurfaced around Bility in 2011, around the time of that year’s FIFA presidential election, when Sepp Blatter ended up as the only candidate after the withdrawal of his only rival candidate, Mohamed Bin Hammam of Qatar. [Background piece from the time linked here, about FIFA’s charge sheet]. The FAs of Nigeria and Ghana, who Bility had said were also behind Bin Hamman, publicly stated it was untrue they were backing Bin Hammam. Much of this is now immaterial. Bility is out of the race. Maybe in time it will become apparent why he entered it in the first place, and who was backing him. And why on earth he thought the integrity check would be a gimme. Even FIFA has limits. Doesn’t it?